Arnica (Arnica montana) is very popular. In Germany alone has manufactured more than 100 drug preparations containing this herb. Applied topically as a cream, ointment, liniment, salve, or tincture, arnica has been used by both Europeans and Native Americans to soothe muscle aches, reduce inflammation, and heal wounds. While arnica has also been used internally as an herbal remedy for certain heart disorders, it should only be used in this way under the supervision of a healthcare provider. In fact, arnica in herbal form is primarily restricted to topical (external) use because it can cause serious side effects when it is used internally. 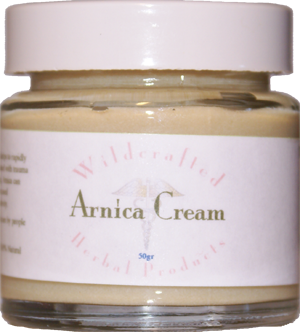 Arnica is used topically for a wide range of conditions including bruises, sprains, muscle aches, wound healing, acne, superficial phlebitis, rheumatic pain, inflammation from insect bites, and swelling due to fractures. An experienced clinician may recommend arnica as an herbal remedy for senile heart, angina, or coronary artery disease. Homeopathic preparations are also used to treat sore muscles, bruises, and other conditions associated with overexertion or trauma. Homeopathic doses are very diluted and generally considered safe for internal use when taken in accordance with the directions on the product labeling. Diaphoretic, diuretic, emollient, expectorant, stimulant, vulnerary, Reduce pain and swelling. Promotes the healing of wounds, bruises, and irritation. Caution: Use only very diluted tincture externally as it can cause inflammation and blistering when applied. In countries where Arnica is indigenous, it has long been a popular remedy. In the North American colonies the flowers are used in preference to the rhizome. They have a discutient property. The tincture is used for external application to sprains, bruises, and wounds, and as a paint for chilblains when the skin is unbroken. Repeated applications may produce severe inflammation. It is seldom used internally, because of its irritant effect on the stomach. Its action is stimulant and diuretic, and it is chiefly used in low fevers and paralytie affections. Arnica is also used sometimes to relieve abdominal pains, when used as a poultice. Aromatic, bitter, astringent, discutient (causes the removal of tumors or other pathological accumulations), diuretic, diaphoretic, emollient, expectorant, vulnerary, anti-inflammatory, analgesic, anti-septic, anti-fungal. External use is batericidal and vesicant. Stimulates peripheral blood supply and is locally healing. It is used mainly as a local irritant and vulnary for bruises and sprains. Also used for phlebitis, shingles and inflammed breast. Promotes wound healing and reabsorption of hemorraghes (bruises). Used internally (professional use only!! See caution above) during emergencies after mental or physical shock, the pain and swelling after dental extraction, and for fractures and headaches (including concussion). Used as a "shock" remedy to help the body and mind cope with sudden, violent events. Used before and after surgery to assist healing. Stimulates immune system and heart. Causes reabsorption of internal bleeding in bruises and sprains (a cream is applied to affected area or else a compress used which has been dipped in a solution of dilute tincture, then wrung and applied. Relieves pain and inflammation (external). The liquid solution is used on any UNBROKEN surface to stop pain. Used as a compress on rheumatic joints, bruises, painful and swollen feet. Also used to relieve pain of muscle spasm. Has been used in Germany orally, intravenously or locally as a stimulant (increases temperature and secretions). Used in liniments and creams (often combined with witch hazel) for dislocations, sprains, bruises, chilblains, varicose ulcers, and as a throat gargle. Used primarily as an external tincture or salve. The extract is used to reduce inflammation and pain of bruises, sprains, tendons, dislocations, and swollen feet. For impetigo the skin is cleansed with 45% alcohol containing a few drops of arnica tincture. Used in lotion or ointment form for swelling and bruises. Tincture is diluted 5 times with water for compresses applied to swellings. Dilute tincture is also used as paint for chilblains. For violent stomach and abdominal pain, a compress of arnica tea is made by boiling the entire plant in vinegar and water. Clears fungal and bacterial infections (external). A poultice of the tincture or a cream is used for menstrual cramps. Used internally (see caution note above!) for heart complaints and is used in Germany by physicians for heart conditions. Also for gout, rheumatism and feverish conditions (5-10 grains taken 3 to 4 times daily). Used by professionals for short-term treatment of heart failure and coronary heart disease. Enhances circulation . Has been used in cases of low fever and paralytic afflictions. For falling hair (used to stimulate circulation) = Applied as a cream or ointment to affected areas or else a well diluted tincture is used as a hair rinse. Falling hair treatment should include support with nervines and vitamin B supplements. Tender feet = 1/2 oz. tincture in a foot bath of hot water. A. acaulis (Leopard's bane) is used in tincture form for sprains and bruises. Used by the Catawbas for back pain. A. nudicaulis is considered stimulant, emetic, carthartic and is used by the Germans for paralysis, amaurosis (blindness) and nervous diseases. Salve is used for chapped lips, inflammed nostrils, bruises, joint pain, skin rash and acne. Has been used internally in Russian folk medicine to stop bleeding, for boils, inflammation of the genitalia, heart weakness, to stimuate the central nervous system, to promote bile, to reduce cholesterol. Use professionally prepared remedies whenever possible. Do not take without the supervision of a qualified medical professional. Do not use internally. Internal use may cause great pain or even death. Looking for Therapeutic Herbal Products?